In 1784, the Columbia community renamed King’s College in order to speak to the independence of the nascent U.S. American nation-state. Columbia University emerges from a historical moment that, to this day, continues to structure and inform our relations to this land and its original peoples, the Lenape Nation. Leading up to that moment and to this day, Columbia University has been invested in the practices of settler-colonial occupation. We are students representing Columbia University Apartheid Divest, a campaign launched by Columbia Students for Justice in Palestine and Barnard/Columbia Jewish Voice for Peace. 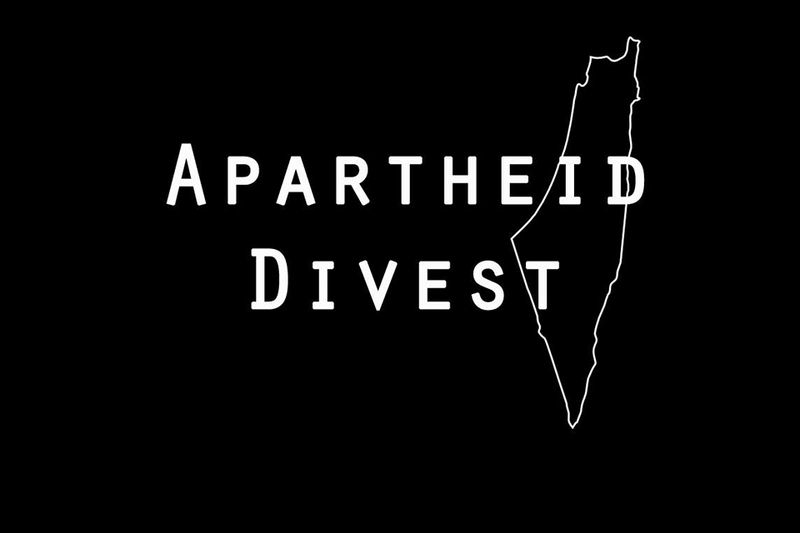 We call on the University to divest its stocks, funds, and endowment from companies that profit from the State of Israel’s violations of international law and Palestinian human rights through its ongoing system of settler colonialism, military occupation, and apartheid. This campaign directly responds to a choice made by Palestinian civil society to call for international solidarity. Our demands carry the voices of over a thousand community members, including 601 undergraduate students, 190 graduate students, 103 alumni, 75 faculty, and 12 staff members, who have attached their name to our petition, as well as the expressed endorsement of the following groups representing a diversity of Columbia community members: Barnard-Columbia Socialists, Columbia Divest for Climate Justice, Columbia Muslim Students Association, Columbia Queer Alliance, Columbia University Black Students’ Organization, Columbia University Turath, Divest Barnard from Fossil Fuels, GendeRevolution, No Red Tape, and Student-Worker Solidarity. We are writing to you, knowing of and trusting in President Bollinger's stated vision of Columbia as a "Global University." In order to uphold a commitment to this vision, the trustees and administration must fulfill their role not only by accepting students from all over the world, but also by taking a stand against regimes that violate basic human rights and the structures by which they are supported. This call extends to Columbia recognizing its past and present role as a colonial institution, one that was built through the practice of slavery and one that continues in a city founded on broken treaties, and its present complicity in gentrification and displacement through its rapid expansion into Manhattanvile. Given Columbia’s recent divestment from the US private prison system, we are encouraged by the precedent our University community has set by denouncing racial profiling and disproportionate standards of prosecution. Our institution should not be considered separate from those affected by and complicit in Israeli human rights violations; impacted communities include students, academics, people of color, indigenous people, religious and gender minorities, refugees, Israelis, and Palestinians both in Palestine and its diaspora. Columbia's investment in corporations that profit from Israeli apartheid has communicated to us that the fundamental dignity and worth of these communities is not the priority of this university. We are also writing to you in recognition and respect of your mission and commitment to socially responsible investment. By investing in companies such as Caterpillar, Hyundai Heavy Industries, Hewlett Packard Enterprise, Elbit Systems, Mekorot, Hapoalim, Boeing, and Lockheed Martin, Columbia actively supports Israel’s violations of international law. The University profits from the illegal military Occupation of the West Bank and the Golan Heights and Siege of Gaza, the destruction of Palestinian homes and construction of illegal settlements, the restriction of freedom of movement and the surveillance and policing apparatus that is the Apartheid wall, the theft of Palestinian resources, and the unequal treatment of Palestinians under the law. One such company in which the University is directly invested is Doosan Infracore co. Ltd., whose products include construction equipment used to build at least one illegal settlement in the West Bank, the Leshem settlement. Doosan also owns the Bobcat Company, whose machinery was used in the construction of the apartheid wall and multiple security checkpoints along the wall. Other University investments show us that divestment from human rights violations is not only moral, but can also be economically successful. The University is currently directly invested in CRH PLC, a corporation which chose to divest from Israel in 2015. CRH has reported a strong post-divestment growth in profit, highlighting the feasibility of making socially responsible and still profitable investment decisions. The Advisory Committee's annual reports indicate a continued commitment to ensure that the University's investments meet specific social and moral standards. Your audits of these investments with respect to the private prison industry are a commendable instance of this commitment. We believe that this commitment also requires consideration of the human rights abuses in the Palestinian territories of the West Bank and Gaza, abuses associated with and perpetrated by companies in which we may be invested. In light of this, faculty members across various departments presented a proposal in 2002 calling for an end to our investment in all firms that supplied Israel's military with arms and military hardware. Students, alumni, faculty, and staff all agreed to attach their name to the 2002 proposal, hoping that our institution would end their complicity in Israel's use of asymmetrical and excessive violence against Palestinian civilians. In the 14 years since this proposal was rejected, Israel has ramped up its violence towards these civilians and its illegal settlement practices to levels unimaginable, even in 2002. We thus call upon you now to not only hold our university to a higher moral standard, but to consider Israel's apartheid system in all its forms, including those that do not involve the direct use of the State's military apparatus, but nonetheless severely violate the rights of Palestinians and the prescriptions of international law. More transparency regarding Columbia’s investments. Columbia University has failed to make available and accessible the 10% of its investments (direct holdings) to which the public is entitled knowledge. Additionally, information about the region and sector of the full endowment, and remaining 90% (indirect holdings), should be made available to all members of our community in the spirit of transparency and mutual accountability to which the University should be held pursuant and for which the ACSRI was created. That research be done on all holdings (direct and indirect) in order to determine if they are complicit in Israeli practices that are illegal under international law. Furthermore, we request the public availability of this research, in pursuit of a socially responsible commitment to transparency and neutrality. That the University immediately divest from such companies and make a public statement confirming divestment. Columbia must adopt a negative screen for these companies, to confirm that Columbia will not invest in these companies until they cease their operations in and profits from Israeli apartheid, or until the State of Israel dismantles its apartheid wall and occupation, promotes the rights of Palestinian citizens of Israel to full equality, and allows Palestinian refugees to return as demanded by the larger Boycott, Divestment, and Sanctions solidarity movement in which our campaign is embedded. We would like to meet with President Bollinger and other heads of the administration in order to discuss the double standard posed by the dissonance between Columbia's ideals and its current investment in Israeli settler-colonialism. Columbia University Apartheid Divest looks forward to engaging with your Advisory Committee in person and commencing this process. Stand for justice. 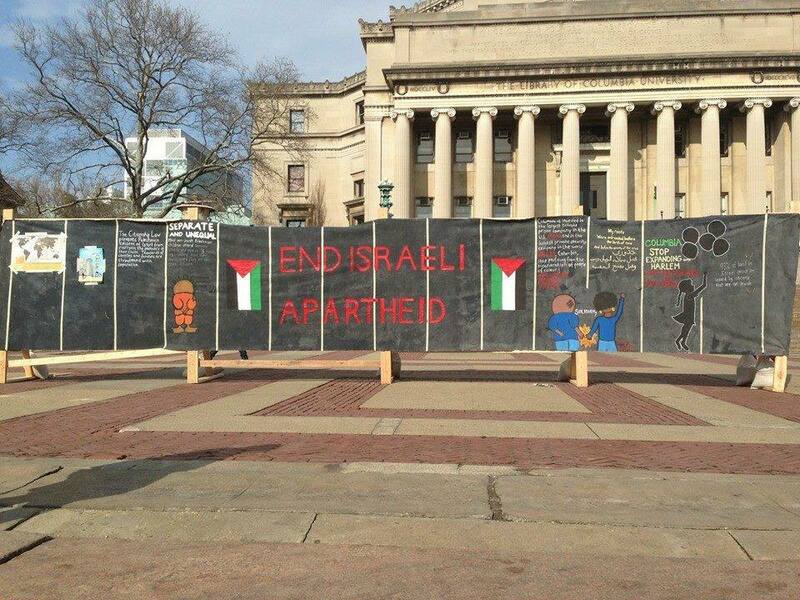 Demand Columbia divest from apartheid.